It's now on Amazon as a paperback and a Kindle ebook and on Barnes & Noble as a paperback and a Nook ebook. Could Things Get Any Weirder in Wells, Maine? Working at Annie's Book Stop, Keegan has read plenty of mysteries. But she's never been part of one. Until now. 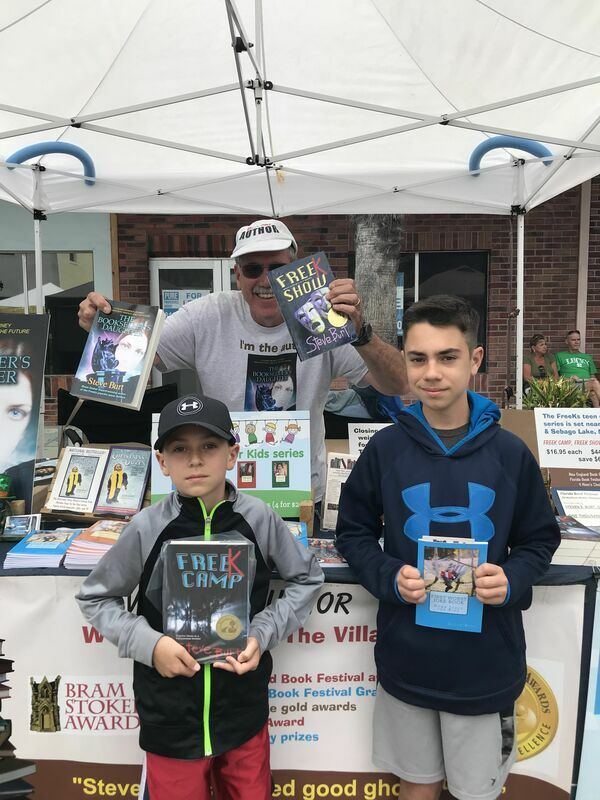 It starts when someone—or some THING—burglarizes a different local bookstore, Toil & Trouble, stealing an obscure book of little interest except possibly to a collector. It gets stranger when someone appearing to be a hunchbacked nun comes to Annie's Book Stop to order a reprint of the same book—and two books on local graveyards! But before they can be picked up, a robed and hooded figure breaks into Annie's after hours and rifles through the special-orders shelf. 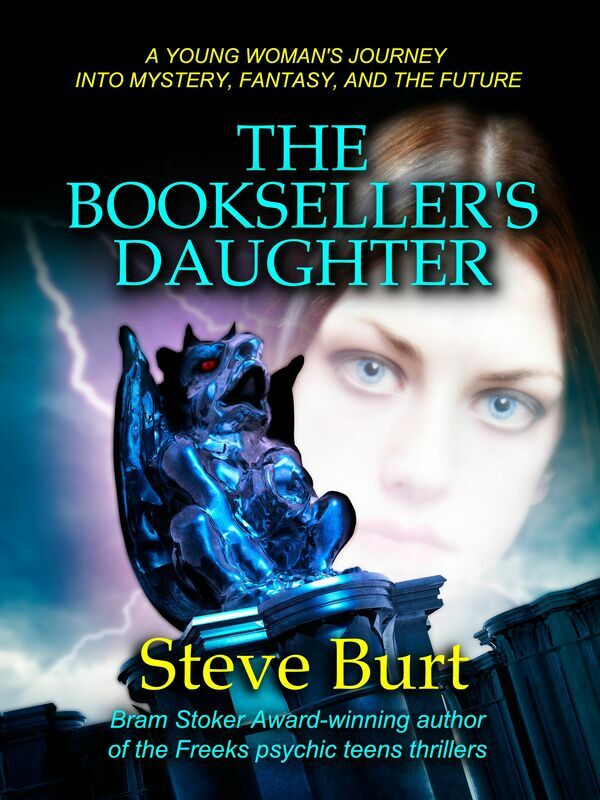 Is there more to this book than meets the eye? More questions come up, but the most important one is: Can Keegan survive long enough to unravel the big secrets of her small town? READ IT AND POST A REVIEW on Amazon.com and bn.com. 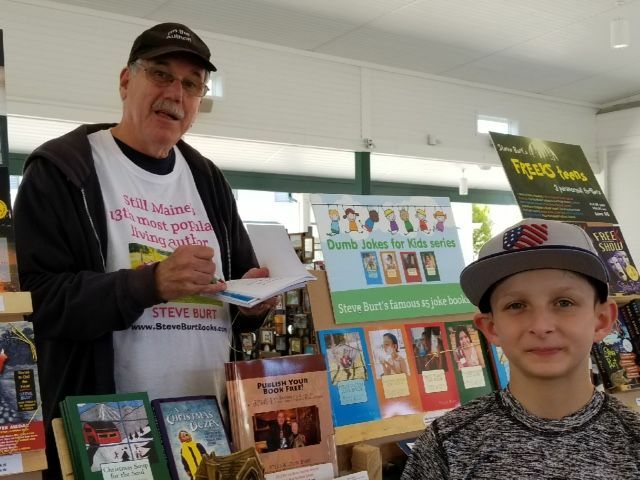 Help Steve get the word out on this exciting new novel. 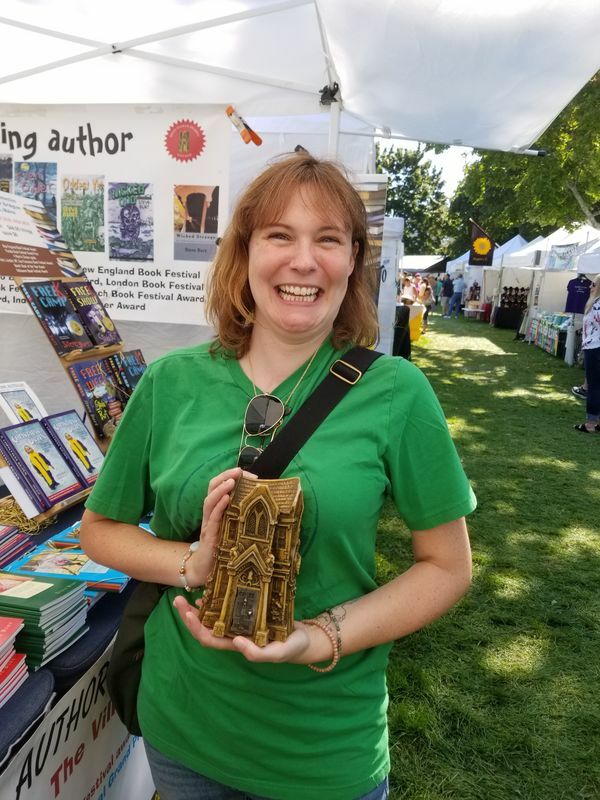 Hampton Falls, NH Sept 15, 2018 -Courtney Del Polo actually knew what the Bram Stoker Award was, and was thrilled to hold Steve's 2004 Bram Stoker trophy. The Stoker is the world's top horror-writing prize. Steve was nominated in 2003 for Even Odder but lost to JK Rowling's Harry Potter and the Order of The Phoenix, but beat Dean Koontz to win it with Oddest Yet in 2004. Ryan Cole hit the jackpot over spring break in Florida. 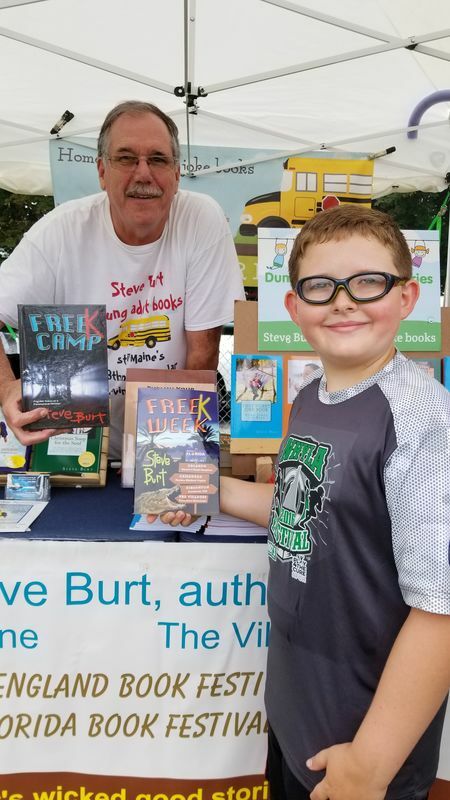 At the Brownwood arts & crafts expo he met Steve Burt, Maine's 13th Most Popular Living Author and was introduced to the FreeKs. 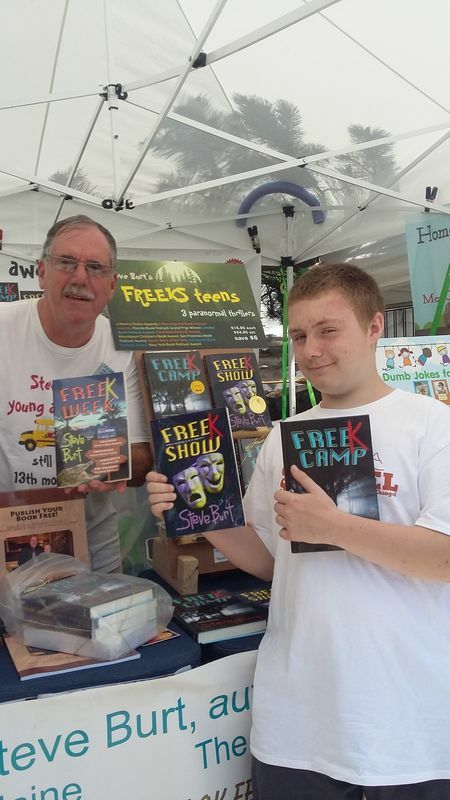 He opted for a photo op with Stee and can't wait to dive in to Free Camp, FreeK Show, and FreeK Week. 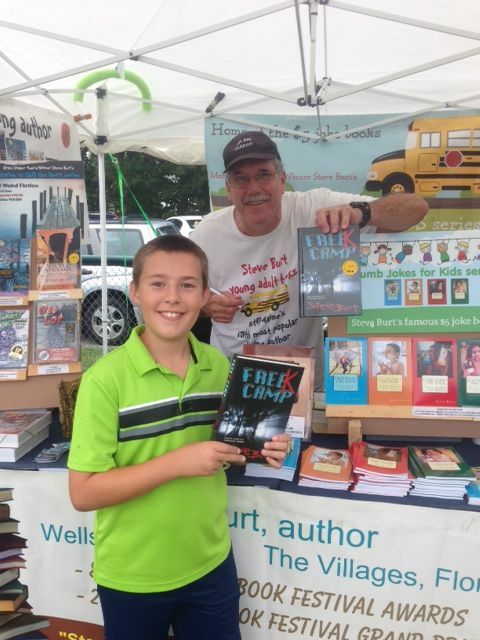 His family know how to encourage literacy. 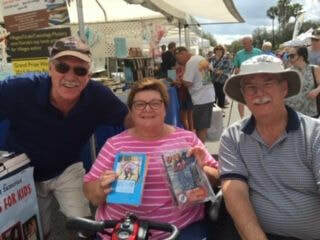 Cora and John Kmiec met Steve at the Brownwood (The Villages, FL) Easter weekend arts & crafts who. 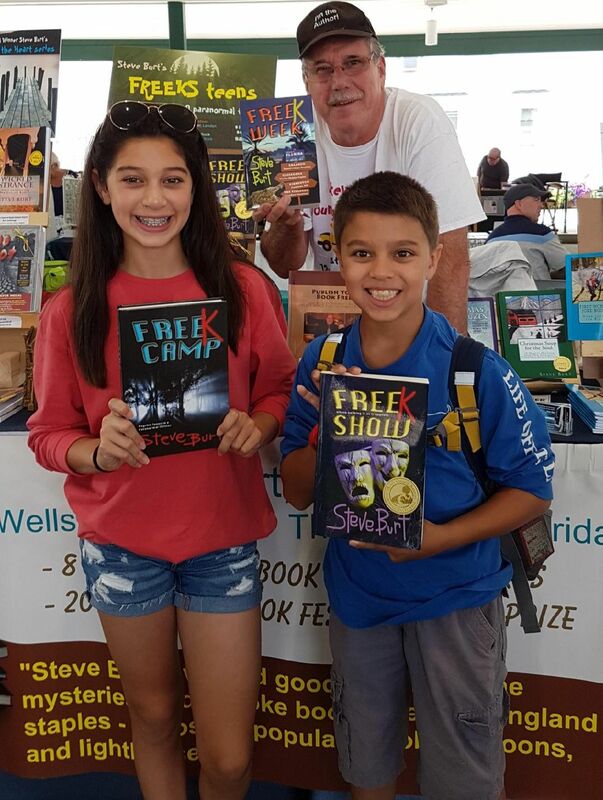 They are avid readers and cannot wait to dig into their new kids-in-peril novels from Steve's FreeKs series. 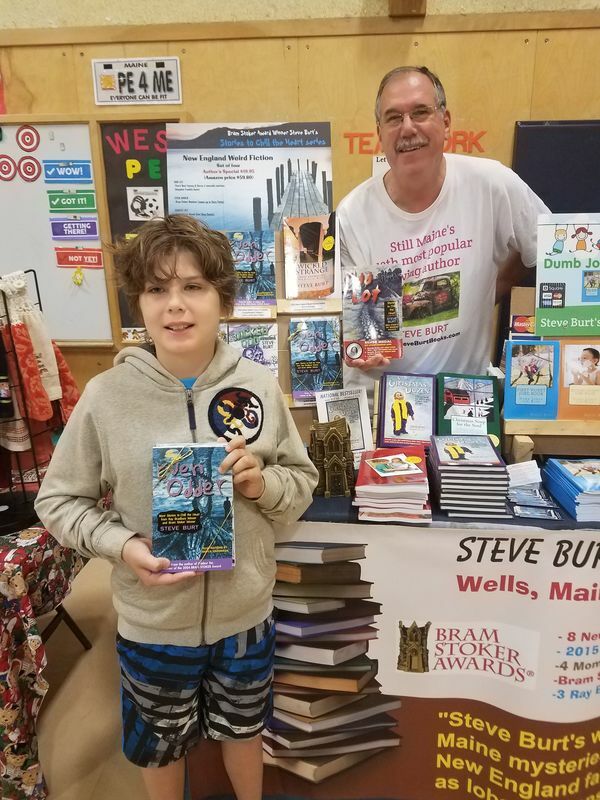 Steve apparently tickled Jo-Anne Masure's funny bone, because she bought a joke book for her grandson Gianni before posing with him at the Friends of the Wells Public Library arts & crafts show Oct 7 at Wells Elementary School. You'd think Trent Vigue would want his picture taken with books, but he was smart and want a shot of him holding Steve's 2004 Bram Stoker Award trophy, the world's top prize in horror writing. 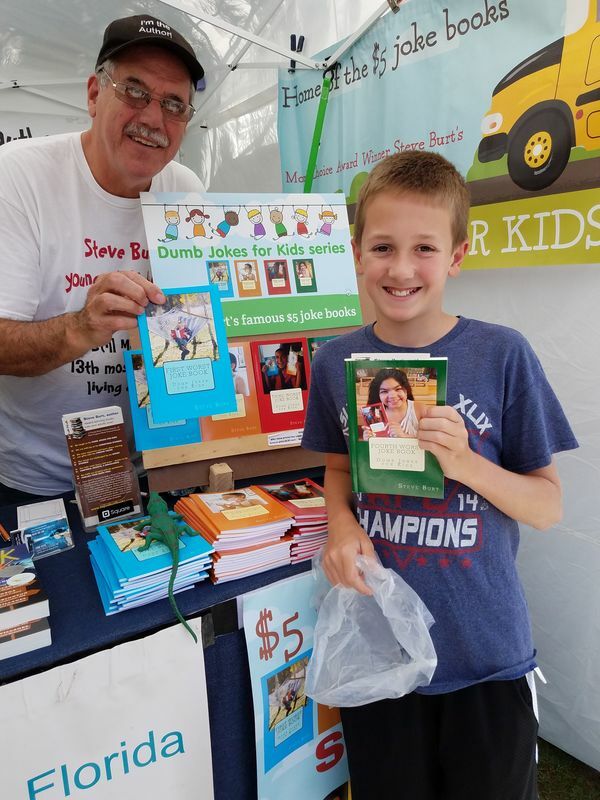 This was at the Alfred, Maine Apple Festival Sept 23-24, 2017. 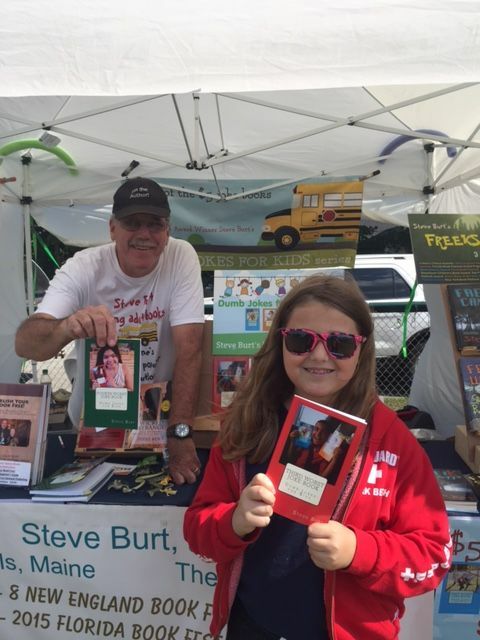 Francesca Keeley waited patiently for the old author to autograph her FreeKs series book at the Hampton Falls, NH craft show Sept 16-17. She's wondering how this guy ever managed to write a book. Nick Smart from flood-hit Spring, Texas has had his trip home delayed by Hurricane Harvey. 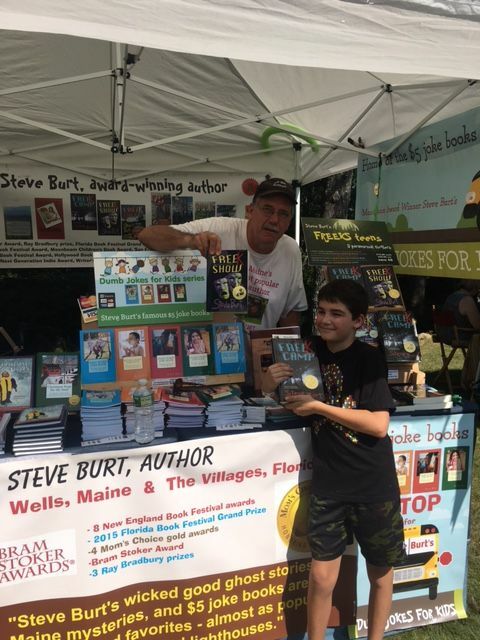 He got Maine's 13th most popular living author to autograph his joke book in Kennebunk, Maine on Sept 2, 2017. 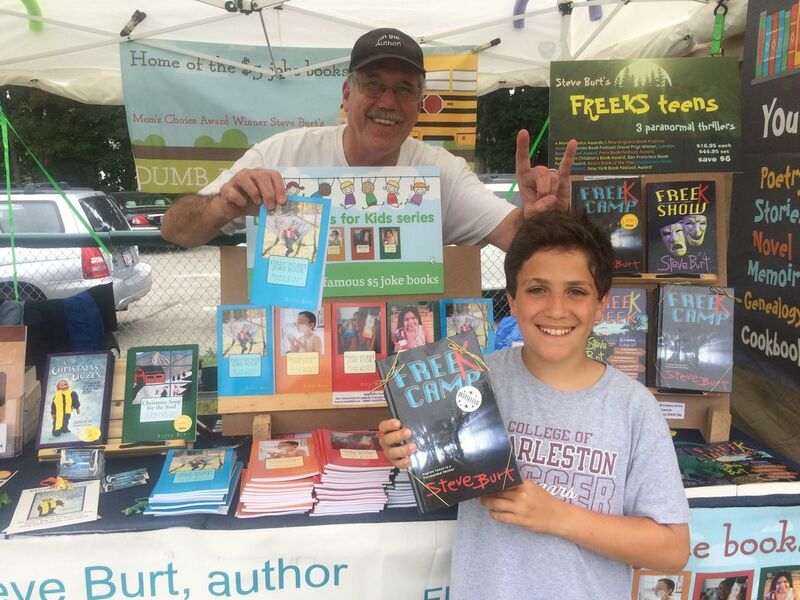 Bryan O'Sullivan loves weird novels with strange kids for characters, so he was delighted to become a FreeKs fan in Wells, Maine this summer. 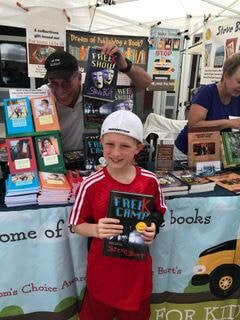 Nathan Blake turned into a FreeK at the Alfred, Maine Apple Festival over the Sept 23-24 weekend. 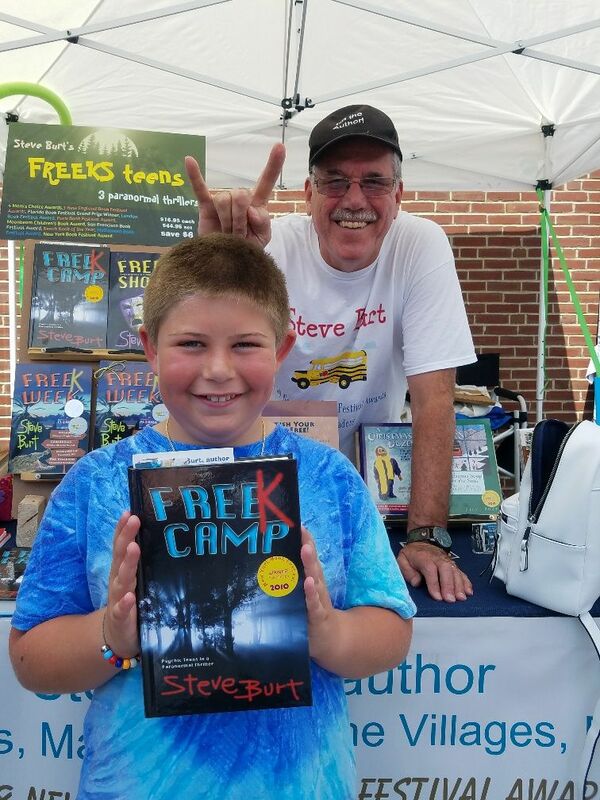 He'll love FreeK Camp. 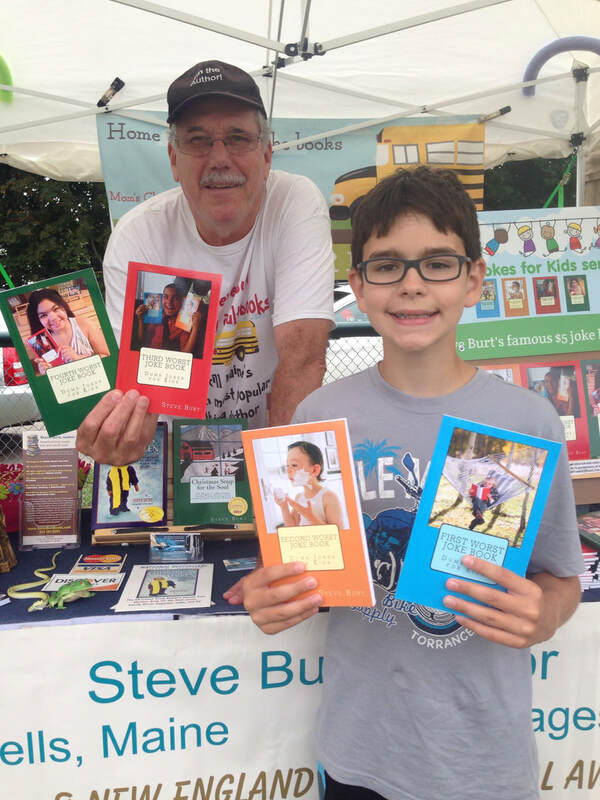 Lexi and Levi Taylor like to laugh, so tday at the Hampton Falls, NH craft show on Sept 17 they picked up a couple of the Dumb Jokes for Kids collections. 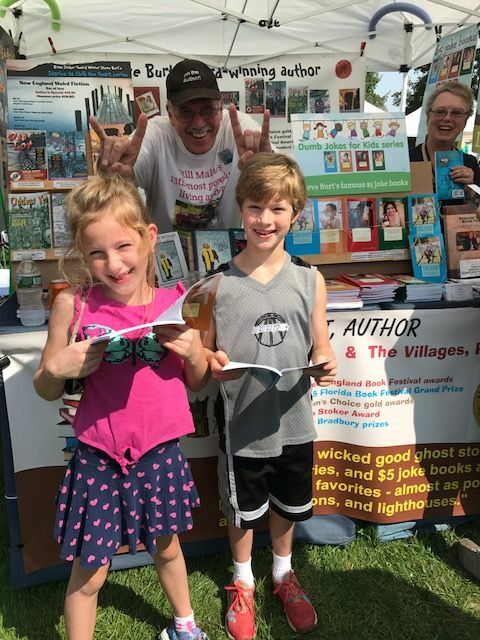 Zoe & Noah Kaufmann have slightly different reading tastes at these ages. She's into FreeKy mysteries and he's learning to tell jokes. 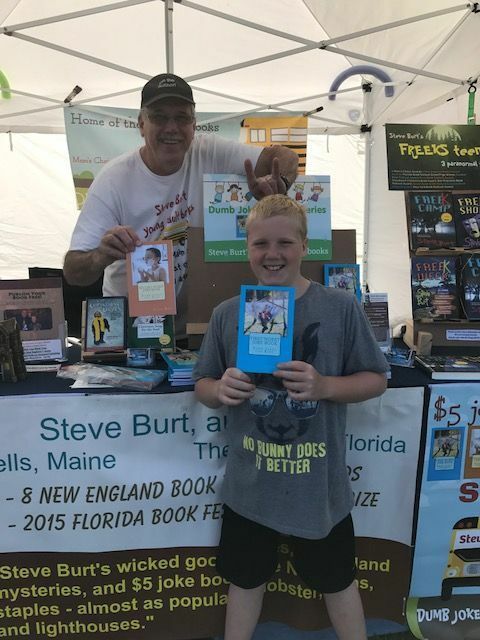 They got both reading tastes satisfied by Steve's book at York Beach, Maine this summer. Jackson Marques loves a good joke. The Dumb Jokes for Kids series can give him over 600. He hauled them away at York Days in Maine. 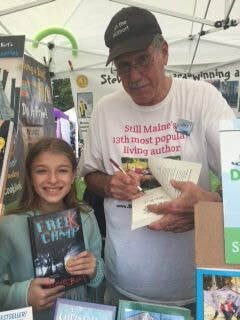 Emily Siminski was in a joking mood at the Hampton Falls, NH craft show on Sept 17, and bought Fourth Worst Joke Book. 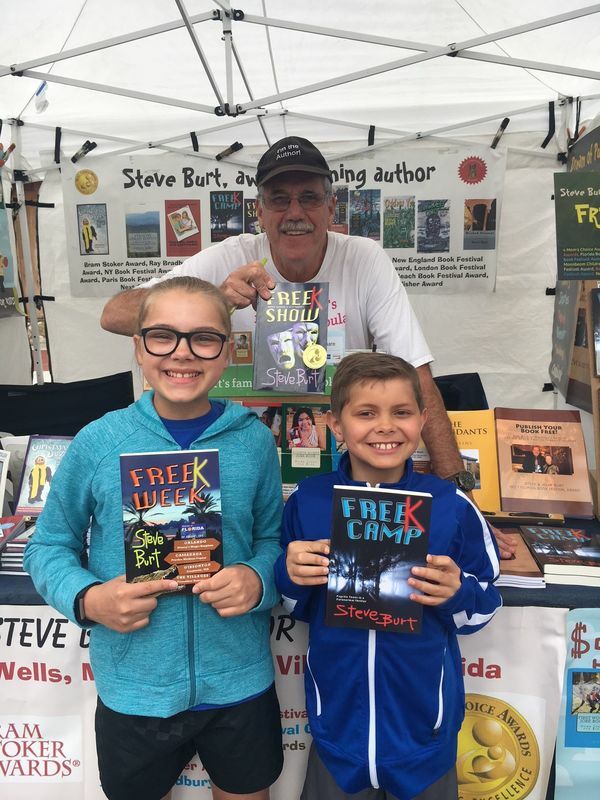 Her brother Will was leaning more toward the dark side and bought FreeK Camp. They'll each love their choices. Andrew Convery said he'd devour the FreeKs trilogy in a week. According to his mother, he really does swallow books whole. Is there a career for him out there? 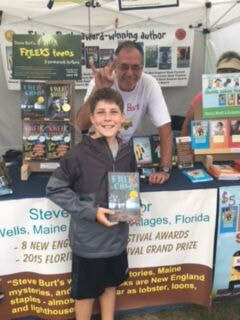 He and Steve hit it off at York Days in Maine this summer. 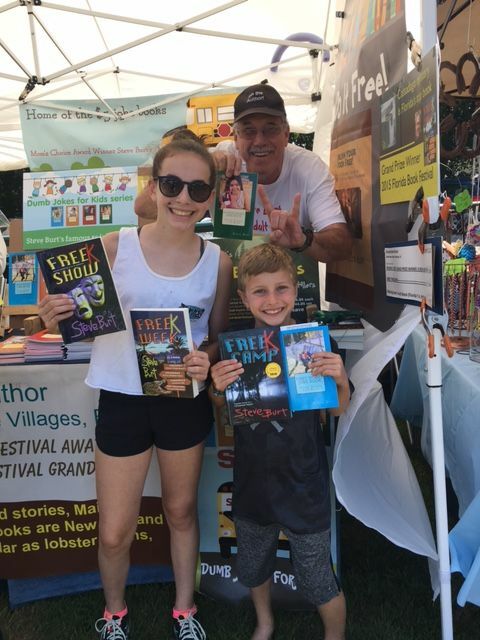 Emily Lumenello decided she'd join the FreeKs fan club at Wells, Maine Chili Fest at the end of August. Maine. 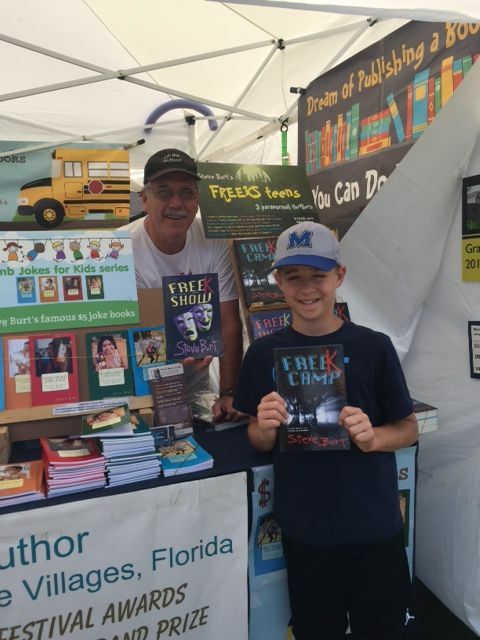 Josh & Jake Patton turned into FreeKs in The Villages, Florida. 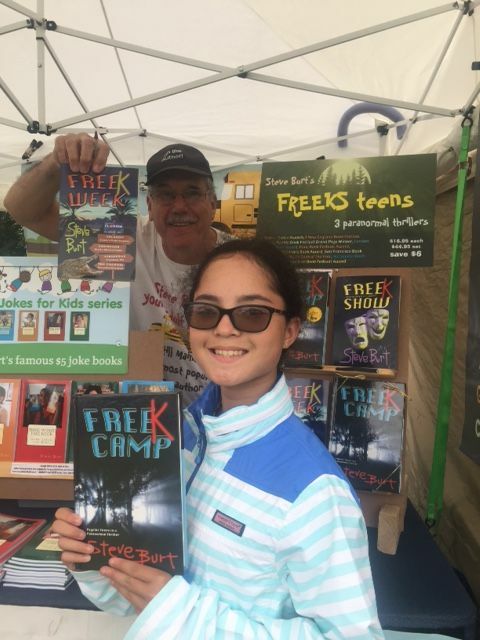 Annie Tamulonis came all the way to Wells, Maine from merry olde England to get her FreeK Camp. 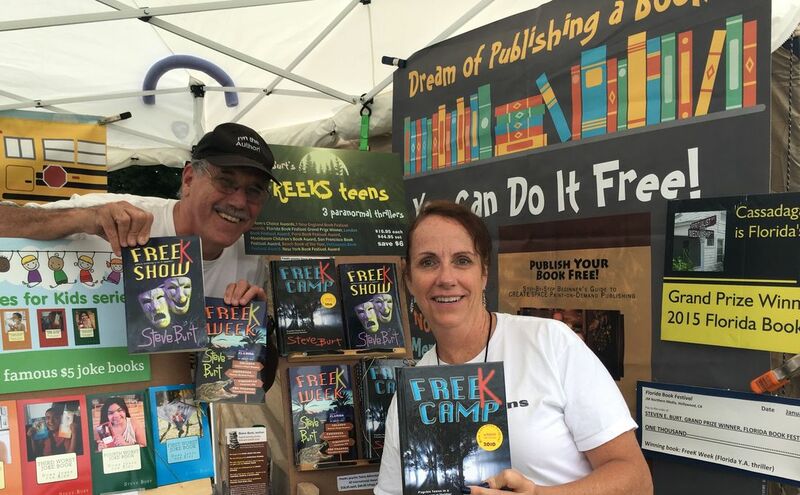 Katy & Andrew Layman are a couple of photogenic FreeKs (I mean FreeKs fans). 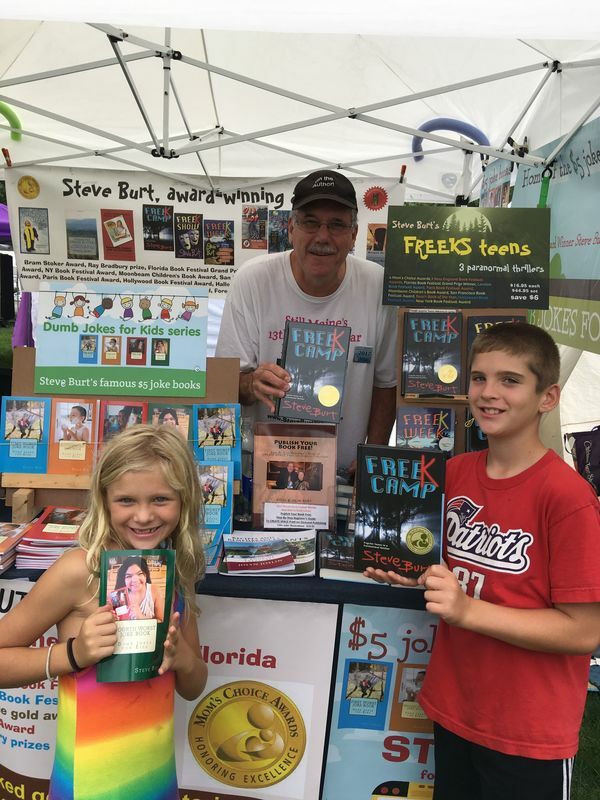 Margot Olenik, a reading specialist from Virginia, hauled a ton of Steve's FreeKs and Chill the Heart books back to Virginia. Ben Goyette stopped to get some new material in York, Maine. 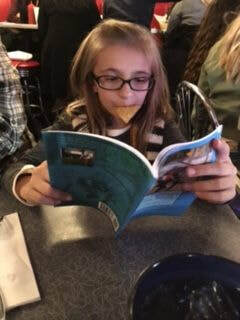 Joyce Gordon's granddaughter Lillie of Long Beach, CA even reads on her breaks when she's visiting NYC. Makaeleh Patrick acted funny at the Alton Bay, NH show this summer. The books may explain why. 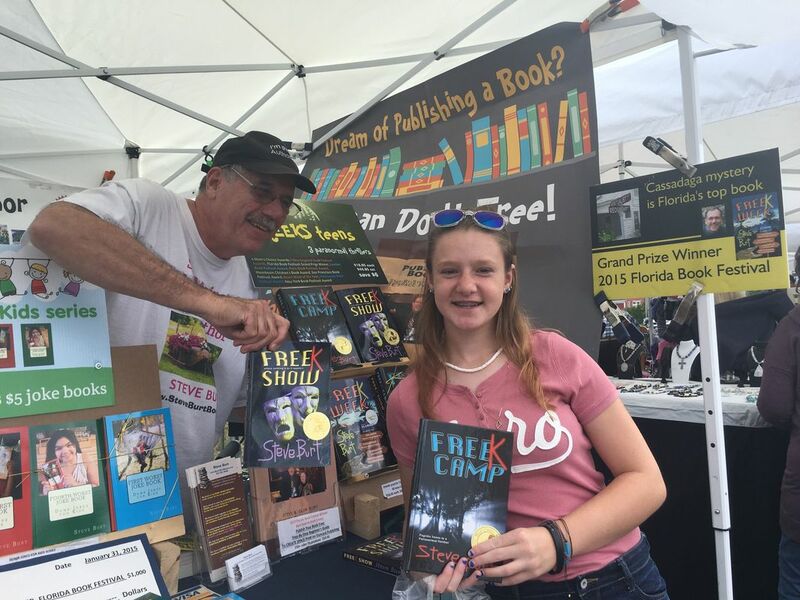 Hannah Guillemette turned into a FreeK right before Steve's eyes at the Wells, Maine show this summer. Nick Tudryn wishes he was one of the Bridgton, Maine FreeKs teens. 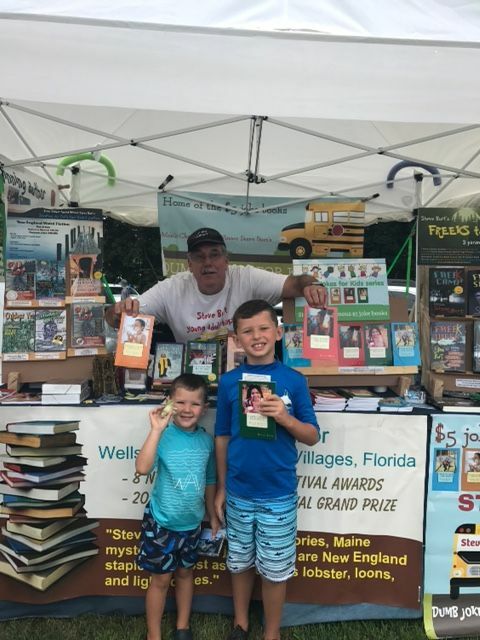 Jackson and Ethan Tate's dad says they are both avid readers. 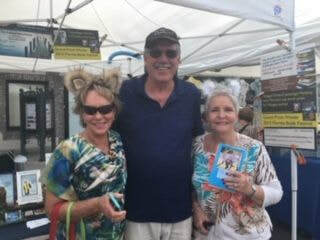 They met Steve at the Kiwanis Chalk Fest show in Safety Harbor, Florida on St. Patrick's Day 2019. Ethan finished the joke book in an hour or two; he is a writer and asked advice from the old pro behind him. 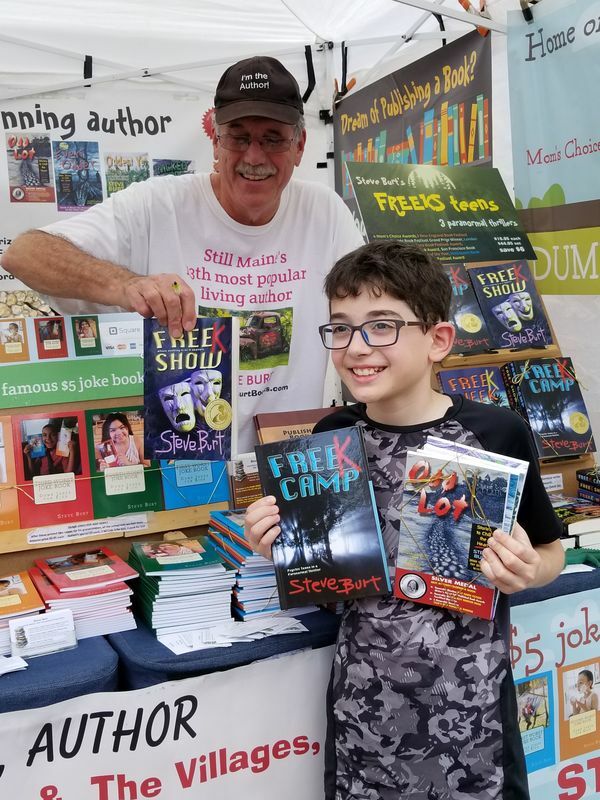 Jackson gobbles down novels (almost finished FreeK Camp in under 18 hours) and may someday slow down enough to write his own stuff, too. Thanks to their Dad for emailing the photo. See you soon, guys. 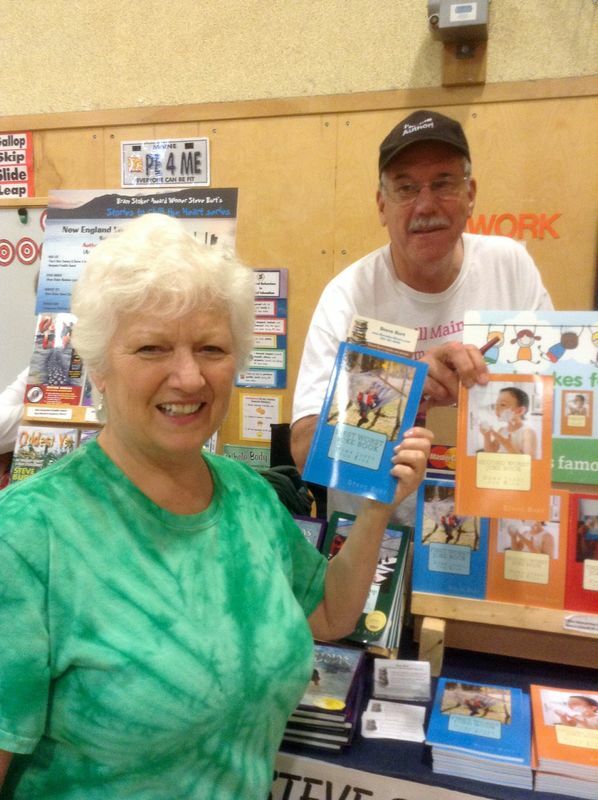 At the Spanish Springs craft show this lady and her husband bought books and had me put on the inside front cover of each of the books: For the Stanford family to enjoy for generations to com. Each person who reads a book then adds their name/signature. What a great historical record the books will become as people enter and depart the generational cycle. At the Spanish Springs show these two women were so cute in their cat ears, so Jolyn got Steve to pose with them. 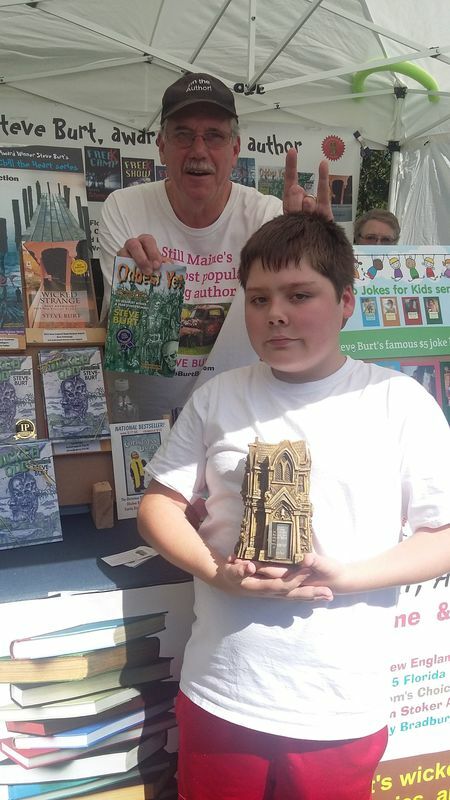 Tristen Cordi decided to take a walk on the weird side with Steve's Bram Stoker Award-winning horror "lite" for young readers. 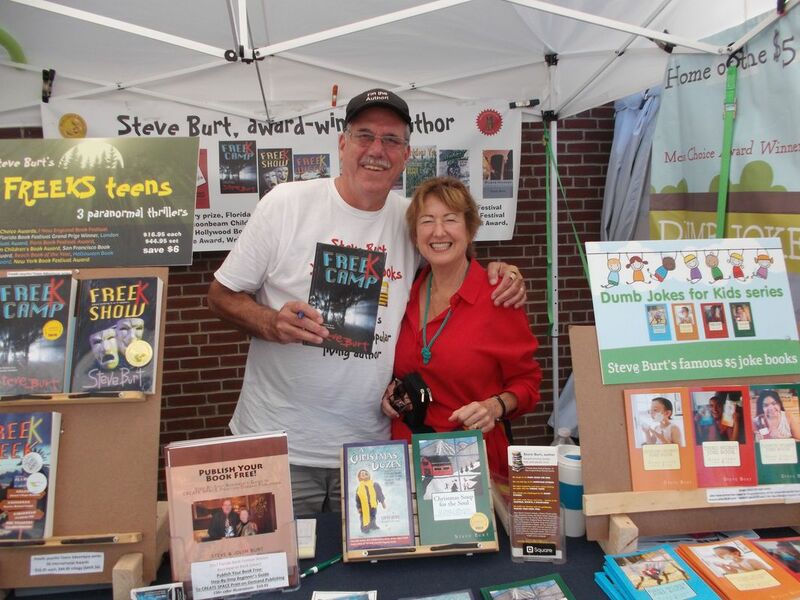 The two ghost story and weird tales lovers met at the Friends of the Library craft show at Wells, Maine over the holiday weekend. Tristen now has the 4-book series of 39 stories. Tammy Hebert, Trent Vigue, Mark Atkinson, and Heidi Short left to right. 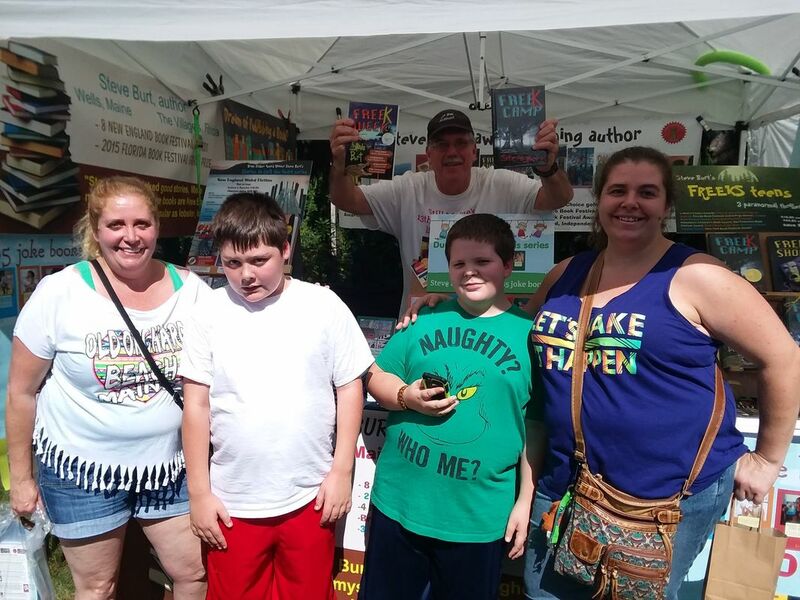 These folks didn't see Steve photobombing their group pic at the Apple Festival in Alfred, Maine the weekend of Sept 23-24. 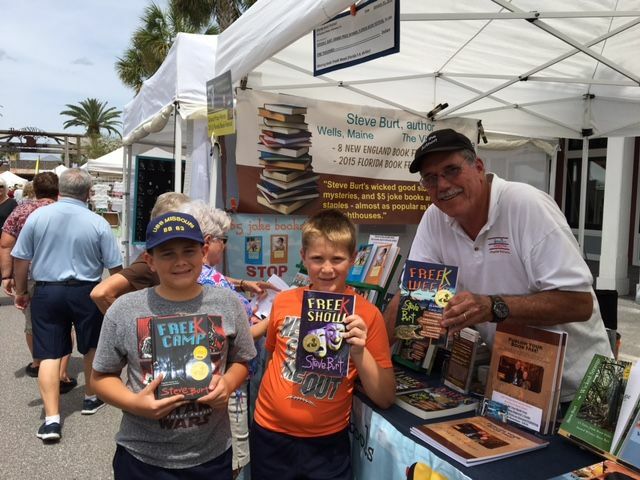 So many readers, so many books, so little time. Ally Brown started yukking it up even before she left the Hampton Falls, NH craft show on Sept 17. 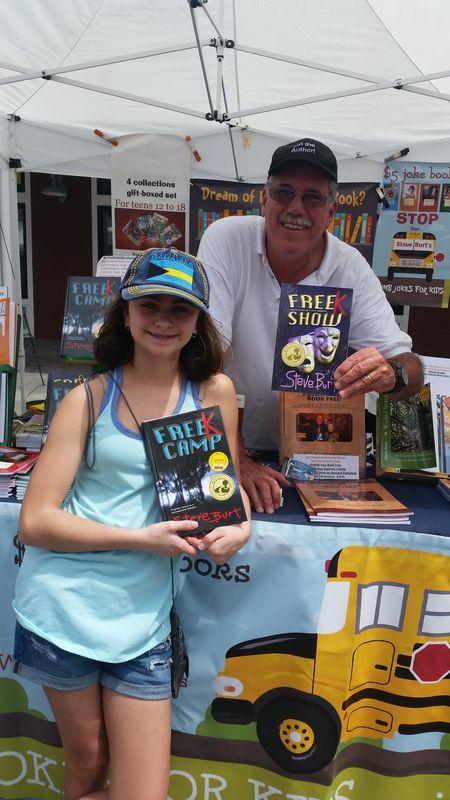 Alex Rogowski met Steve in The Villages, Florida and FreeKed out. 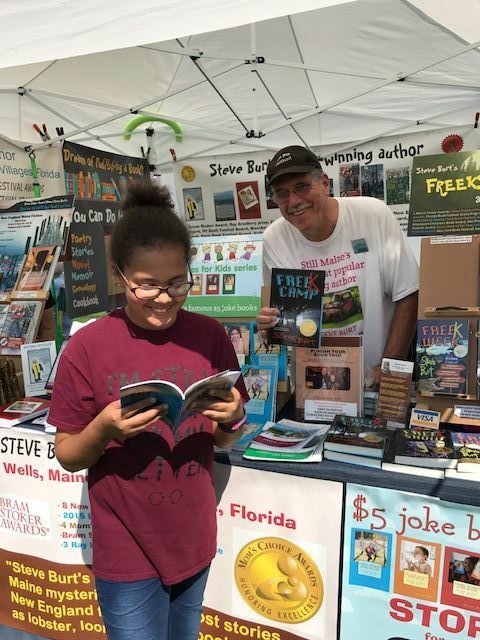 Autumn Miller said she felt funny after she started reading Steve's joke book, so she bought it. She posed with him at the Sept 17 Hampton Falls, NH draft show. 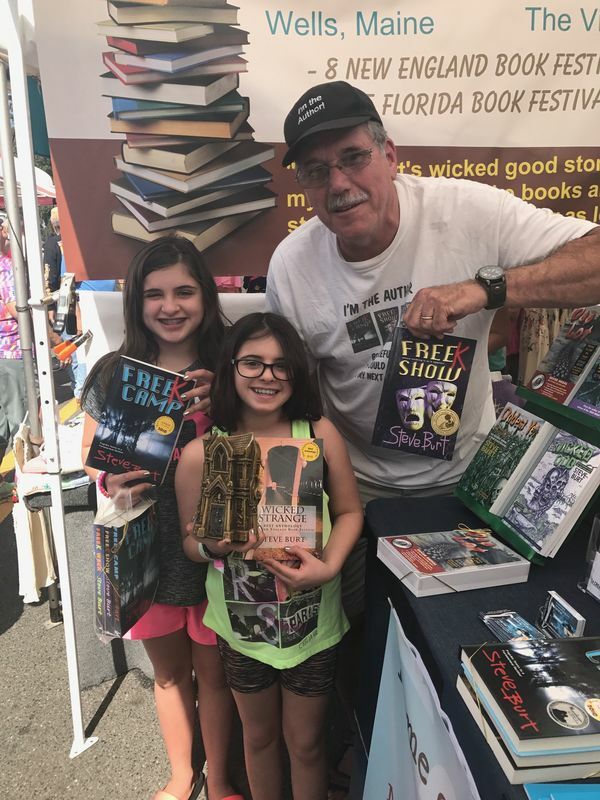 Audrey & Caroline Carillo found treasures in The Villages, FL when they met Steve and got to hold the Bram Stoker trophy, the horror genre's top writing prize. Brayden & Cole Haynes joked around with Steve in July at York Beach, Maine. 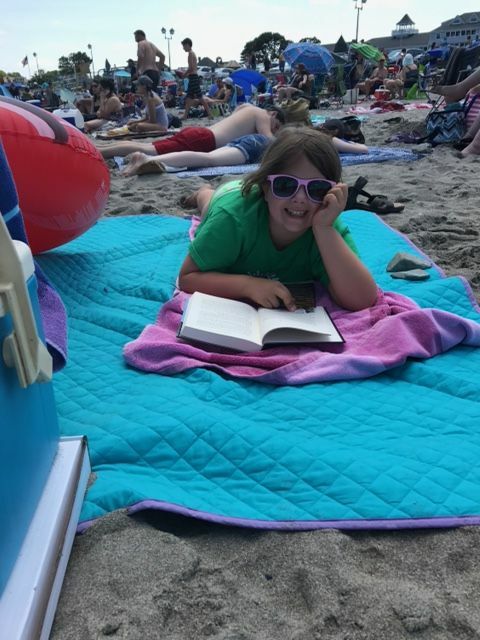 Madison Taylor's mother sent us a picture of her reading FreeK Camp on the beach at York Beach. 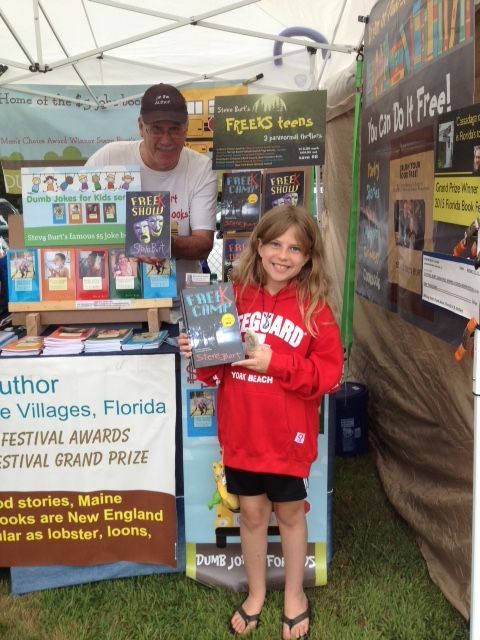 Lindsey Wettstein hit the jackpot when she ran into Steve this summer in Maine. Vinni Brasili loves books, which is why Steve had the sign over his head. This kid was so excited at the idea of FreeKing out. Noah Liedtke loaded up on Steve's weirdest books and collections. This was in NH this summer. Riley McKinley was the mystery man at the Kennebunk, Maine Blueberry Fair at First Parish UU Church. 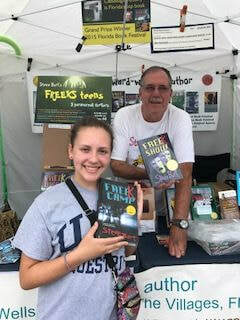 Zoey Fletcher found a treasure at York Days in Maine. Talia Mandravelis is prepping for a career in comedy. She loaded up on material from Steve at York Beach, Maine this summer. Quinn Larkin came to Alton Bay, NH for a few laughs, and he got them. Ryan Mainey decided to FreeK out at York Days in Maine. 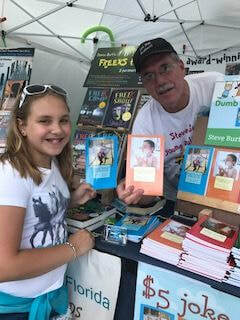 Skylar Lambert is a mystery lover and enjoyed a photo op with Steve in The Villages, FL. 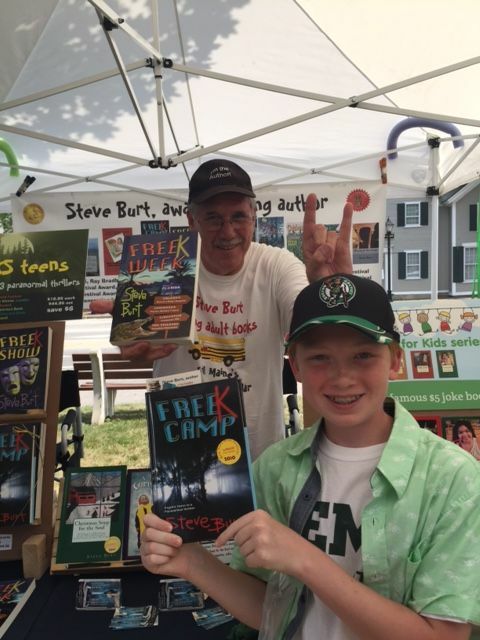 Ben Saro was ready to FreeK out in York, Maine.